Microsoft Corp. leads its industry in part because a vast army of outside computer programmers design software that only runs on its Windows operating system. Now, the company is fighting to keep those programmers working with its tools as technology undergoes a massive shift. On Tuesday, Microsoft’s Chief Software Architect Ray Ozzie told a gathering of software developers in Los Angeles that Windows Azure, its system for building software that runs over the Internet, will come out of test mode in January. In February, the software maker will begin charging for use of Azure. Moving forward with its so-called “cloud computing” plans will help Microsoft compete with companies such as Amazon.com Inc. and Google Inc. Amazon has built a set of Web-based tools including data storage and raw computing power that is popular among startups. Google is challenging Microsoft with e-mail, word processing, spreadsheet and other software that runs in a Web browser instead of on a PC. The new tools also put Microsoft firmly ahead of companies such as IBM Corp. and Oracle Corp., said Gartner Inc. technology analyst Ray Valdez. Over the past several years, software over the Internet has gained momentum. People pay subscription fees or look at advertising in exchange for the right to access software through a Web browser instead of buying it to install on their computers. The setup also makes it easier for software makers to build different versions of the same product for a PC and a mobile phone, for example, all accessing the same data. And when the number of users is exceptionally high, software makers can turn on extra computing power, then shut it off when demand dies down. Now, larger companies are starting to make similar moves, letting Microsoft, Google and others take care of installing and running e-mail and other programs in data centers around the world instead of doing it themselves in-house. And increasingly, they will design their own software using this kind of model. Valdez said that in recent years, more big companies are building systems based on Microsoft’s technology where they once might have used those from IBM Corp., Oracle Corp., Sun Microsystems Inc. and others. 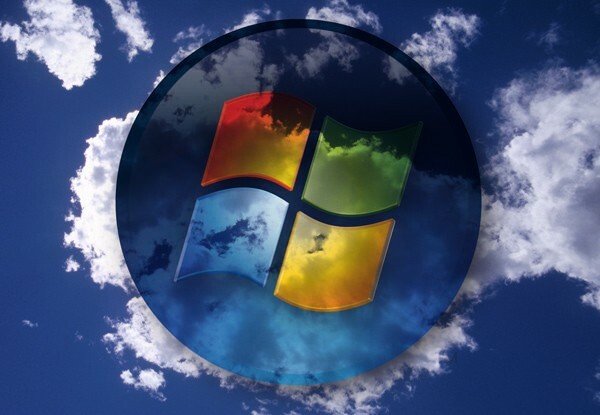 The analyst said Microsoft’s new cloud computing tools can help the company cement those gains.